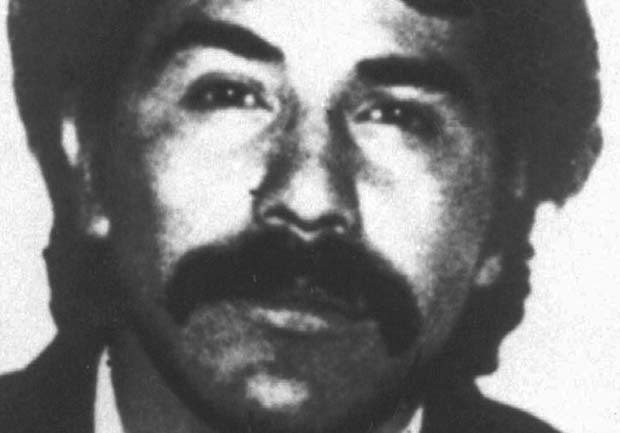 Notorious Mexican drug lord Rafael Caro Quintero has been released after 28 years in prison, multiple U.S. law enforcement sources told CBS News. Caro Quintero's release comes after a Mexican court overturned his conviction for the 1985 kidnap and killing of a U.S. Drug Enforcement Administration agent. The brutal murder marked a low point in U.S.-Mexico relations. The court threw out Caro Quintero's 40-year sentence for the murder of Enrique Camarena, ruling on Wednesday that he was improperly tried in a federal court for a crime that should have been treated as a state offense. The Federal Judiciary Council said the court ordered Caro Quintero released because he had already served his time on other drug-related charges. Late Friday, the U.S. Department of Justice issued a statement expressing "disappointment" at the drug lord's release. The Department of Justice, and especially the Drug Enforcement Administration, is extremely disappointed with this result. Caro Quintero was convicted and sentenced in Mexico to serve a 40-year sentence and his early release is deeply troubling. The Mexican Attorney General's Office said it did not know if there was a current request to extradite him to the United States, where he still faces active charges. However, the DOJ affirmed that they have maintained an interest in having Quintero extradited to be prosecuted in the U.S.
"In the years since, the Department of Justice has continued to make clear to Mexican authorities the continued interest of the United States in securing Caro Quintero's extradition so that he might face justice in the United States," the agency said in a statement. The 61-year-old Caro Quintero is considered the grandfather of Mexican drug trafficking. He established a powerful cartel based in the northwestern Mexican state of Sinaloa that later split into some of Mexico's largest cartels, including the Sinaloa and Juarez cartels. Caro Quintero is still listed as one of the DEA's five top international fugitives, and U.S. authorities believe he continues to control the laundering of drug money from behind bars. "Caro Quintero continues to launder the proceeds from narcotics trafficking and he maintains an alliance with drug trafficking organizations such as the Sinaloa Cartel, most notably with Esparragoza Moreno's network," said Treasury Department spokesman John Sullivan, referring to Juan Jose Esparragoza Moreno  also known as "El Azul," or "Blue" because of the dark color of his skin  who is allegedly a top leader of the Sinaloa cartel. "Caro Quintero has used a network of family members and front persons to invest his fortune into ostensibly legitimate companies and real estate projects in the city of Guadalajara" said Adam Szubin, Director of Treasury's Office of Foreign Assets Control. Caro Quintero has spent almost all of his sentence at a prison on the outskirts of that city, Mexico's second-largest city. Mexico's relations with Washington were badly damaged when Caro Quintero ordered Camarena kidnapped, tortured and killed, purportedly because he was angry about a raid on a 220-acre marijuana plantation in central Mexico named "Rancho Bufalo"  Buffalo Ranch  that was seized by Mexican authorities at Camarena's insistence. American officials accused their Mexican counterparts of letting Camarena's killers get away. Caro Quintero was eventually hunted down in Costa Rica. Camarena's fellow DEA agents consider him a hero in the war against drug trafficking and the El Paso Intelligence Center, where U.S. federal agencies collect information about Mexican drug barons, is dedicated to him. The ruling left many wondering why it took 24 years for judges to determine Caro Quintero was tried in the wrong court. Raul Benitez, a security expert at Mexico's National Autonomous University, said the ruling may portend more such procedural rulings following the January freeing of French citizen Florence Cassez, who was convicted in Mexico for being part of a kidnapping ring. The Frenchwoman served seven years of a 60-year sentence before Mexico's Supreme Court voted 3-2 to release her in January because of procedural and rights violations during her arrest, including police staging a recreation of her capture for the media. "What appears to be coming is an avalanche of judicial appeals, with the drug traffickers hiring very good, very expensive lawyers, arguing there were violations of due process," said Benitez. "The government is going to have problems." Mexican courts and prosecutors have long tolerated illicit evidence such as forced confessions and have frequently based cases on questionable testimony or hearsay. Such practices have been banned by recent judicial reforms, but past cases  including those against high-level drug traffickers  are often rife with such legal violations. "The government has to be prepared to keep an eye on judges so that they don't fall into the easy argument of due process," Benitez said, "because there may also be judges who are receiving money" to accept such arguments. Samuel Gonzalez, Mexico's former top anti-drug prosecutor, noted that the U.S. government itself has been promoting, and partly financing, judicial reforms in Mexico aimed at respecting procedural guarantees for suspects, an approach Gonzalez feels has weighted the balance too far against prosecutors and victims. "This is all thanks to the excessive focus on procedural guarantees supported by the U.S. government itself," Gonzalez said. "I warned them (U.S. officials) that they were going to get out, and they are all going to get out," he said referring to long-imprisoned drug lords such as Miguel Angel Felix Gallardo, who is also serving a sentence related to the Camarena case.